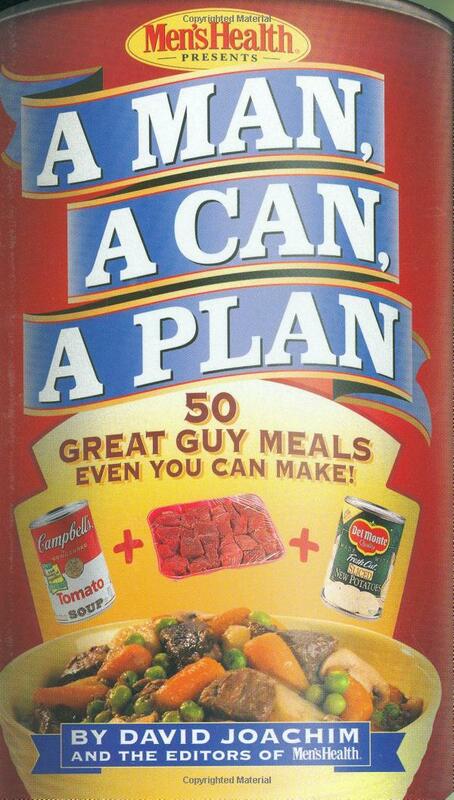 From the best-selling author David Joachim and inspired by the popular men’s magazine, Men’s Health, the original A Man, A Can, A Plan cookbook presents 50 simple, inexpensive, delicious recipes featuring ingredients guys have right in their cupboards – canned food! Great and healthy food can be made for a low price and with minimum effort, and A Man, A Can, A Plan lays it all out in pictorial, easy-to-follow- steps, for the culinary challenged! All you need is a can opener and your appetite!